A Strong Voice Of Reason. "In an era of polarization, when so many politicians can’t seem to work together, we’re fortunate to have the strong and principled leadership of Rep. Vicki Strong. She gets along with everybody. She radiates civility. I wish we had more legislators like her." Douglas served as governor of Vermont from 2003 to 2011. As governor, Douglas focused on strengthening the state’s economy, making Vermont more affordable, and protecting Vermont’s natural environment. In 2003, Douglas launched the Blueprint for Health as the state’s vision for transforming Vermont’s health care system through a focus on chronic disease prevention and management resources. Douglas signed a comprehensive package of health reforms in 2006 designed to expand access to coverage, improve the quality and performance of the health care system, and contain costs. The state’s uninsured population shrank from 9.8 percent in 2005 to 7.6 percent in 2008. He served as the chair of the National Governors Association and the president of the Council of State Governments as well as the chairman of the New England Governors’ Conference and the Coalition of Northeastern Governors. Elected to the Vermont House of Representatives in 1972, he became assistant majority leader in his second term and majority leader in his third term at the age of 25. Douglas retired from the state legislature in 1979 to become a top aide to then-Gov. Richard Snelling. In 1980, he was elected secretary of state, a post he held until 1993. In 1994, Douglas was elected state treasurer, receiving the nomination of both parties and winning with 94 percent of the vote. 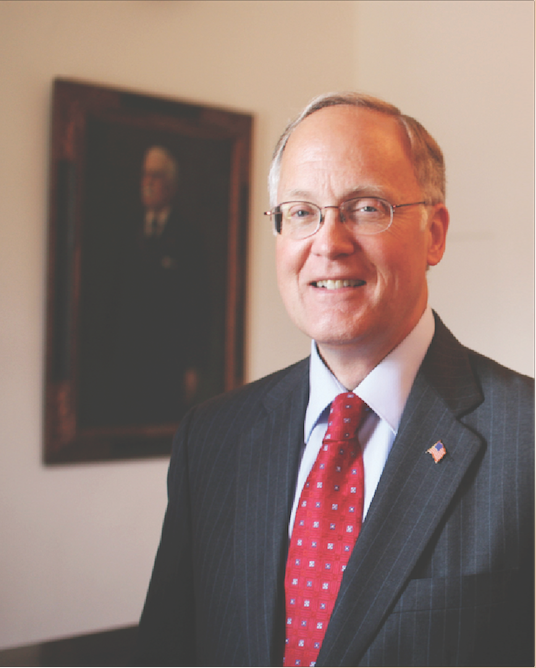 He served as Vermont’s treasurer until his inauguration as governor in 2003. He is now an executive in residence at Middlebury College, his alma mater, and has written a book about his time as governor, entitled "The Vermont Way". Brian E. Dubie was the 79th Lieutenant Governor of Vermont from 2003 to 2011.He is a captain for American Airlines and a strategic advisor to growing companies. In 2012, he retired from the United States Air Force Reserve with the rank of Colonel. Brian more than 2,500 hours in military fighter aircraft. He rose to the rank of lieutenant colonel in the Vermont Air National Guard, serving as instructor pilot, operations support flight commander of the 158th Fighter Wing. In 1998, he left the Air Guard to join the US Air Force Reserve, where he served as an emergency preparedness liaison officer in the National Security Emergency Preparedness Agency. Serving in that role, Dubie earned a Meritorious Service Medal, First Oak Cluster, for his actions at Ground Zero in New York City following the September 11 attacks. In September 2005, he served on the Gulf Coast in the relief effort for victims of Hurricane Katrina. He received the Meritorious Service Medal, Second Oak leaf Cluster, and the Air Force Commendation Medal, First Oak Leaf Cluster, for outstanding achievement at 1st Air Force Hurricane Katrina Operations Center. On June 2, 2012 Dubie retired from the military in a ceremony held at Camp Johnson, the Colchester headquarters of the Vermont National Guard. Dubie’s first political experience came as a member of the Essex Junction School Board, in the same school system he had attended and where his children were enrolled. He served as a member from 1995 to 2000, and as chair from 1996 to 2000. His first run for lieutenant governor in 2000 was unsuccessful. He ran again and was elected in 2002, and won re-election by comfortable margins. Dubie and his wife Penny have four children: daughters Emily and Casey, and sons Jack and Matt. Dubie’s brother, Michael Dubie, served as Adjutant General of Vermont and deputy commander of United States Northern Command, attaining the rank of lieutenant general in the United States Air Force before retiring in 2015. If you would like to add your voice to this list, drop us a line. We'd love to feature your endorsement! Contact us to share your endorsement! We are working on putting together a newsletter for anyone who wants to be informed of what's happening in Montpelier or the campaign. Enter your email address below to stay informed. Paid for by Friends of Vicki Strong, Matthew Strong Treasurer.